To begin the swim lesson that you want to let the student get used to the water first. The best way to do this is to sit either the edge of the pool that is level with the water or a ledge that’s slightly submerged in the water and kick with straight legs. Next, the student must slide into the water and keep hold of the wall. Never teach holding ones breath. Once the student is adept at blowing bubbles have them stretch their arms and reach their toes to the floor so the head is totally submerged. The student sits on the edge with their feet against the wall. Her arms must be raised above her head and covering her ears with one hand on top of the other. Your hands on her belly supports the student and your hands holding her hands retains the proper form. The student must be blowing bubbles, unless she wants to breath, and kicking the whole time. When the student has no knowledge of how to swim him round the waist with one arm and then move his arm with your other hand. Verbally instruct him to blow bubbles and kick. As the student gets better hold his waist and push him to the wall slowly increasing the distance. The student must slide in, hold the wall, and place his feet on the wall like he were squatting. Once your hand is behind his head and on his lower back have him push off and kick. 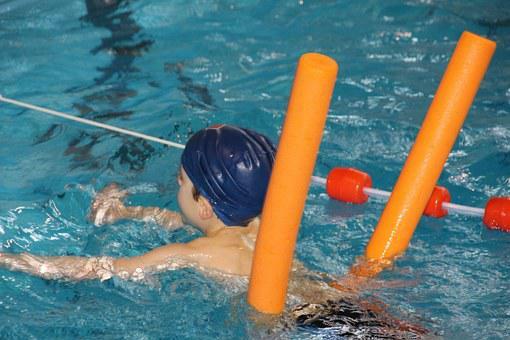 Once the student can float on his own show and help him how to do backstroke arms. Once more the student must slide in the water, but this time one hand holds the wall while the other is pointing in the opposite direction and her feet on the wall. Have her put her head on her outstretched arm looking up at the ceiling, then push off the wall, and flutter kick. This technique in combination with big arms generates the freestyle stroke. To get to this position when performing big arms the student must roll her entire body and head to face the ceiling. To roll back to large arms have the student push her own face to the water with the arm that’s by her side and continue doing big arms. The final activity is jumping because most students, which are normally young children, love to jump into the water. Start by having the him leap from the side of the pool, then progress to a diving board; always feet first and straight out from the wall. For those students that can’t swim yet, stand in the water to the side of him and hold your hands at the water in front of them. Once he is in the water turn him around and swim back into the wall. This activity simulates falling into the water also instructs students not to panic and swim peacefully back to the wall. They’re more in tune with the sea and also recognize that numerous factors play a role. The presence or absence of any one of these factors has a significant effect on their shape. To surfers, it is both science and art, with nature generating the energy necessary to mold the ocean to its will. The result is a range of breaks, swells, and waves which surf fans aspire to master. In the area below, we’ll introduce you to the different kinds and describe what makes each of them unique. Every wave is due to solar energy, wind power, and the ocean floor’s topography. The sun heats the ground, which generates wind. The wind pushes across the water, causing ripples. Momentum builds behind the ripples to ultimately form waves. At the exact same time, the topography of the sea floor can help to give them shape. A swell is a specific type of wave, generated by wind that blows across the ocean’s surface over a vast area (measured in kilometers). The energy builds and ultimately forms swells, which influence surf conditions. You have probably heard the expression”groundswell.” This swell is created by winds blowing through large weather patterns, such as rainstorms. It travels long distances and holds considerable power. Another is called a wind swell. Swells continue to obtain energy deep waters. But as they approach shallower waters, that energy is discharged through a surf break. This happens when the bottom portion is no longer able to support the upper part. It essentially collapses upon itself. There are four types of surf breaks that are produced by contrasts: shore, point, reef, and coast. A beach break occurs when a wave makes contact with the sandy portion of the ocean floor; a stage when a wave hits a parcel of property; a reef when a wave reaches a coral reef or similar mass, and a shore break results when it approaches the coast. The following waves can be seen around the islands, as well as other spots across the world. As opposed to breaking over a distance, they do so in a single breath. Crumbly waves are best for those who are learning how to surf. They carry very little electricity and break softly. Tubes are commonly ridden by pros and skilled amateurs. They create barrels where the surfers ride. Recognizing the types of swells, breaks, and waves and understanding the mechanics behind how they’re created, will enable you to better navigate them. 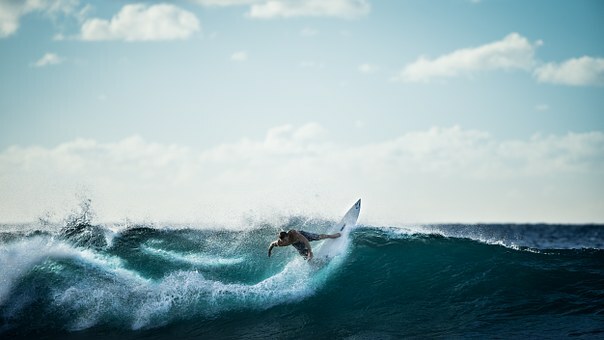 You’ll learn how each one behaves, and have the ability to employ the proper surfing methods to successfully ride them. With that said, nothing takes the place of experience. The popularity of the game has grown tremendously and a enormous number of individuals wish to play it for aggressive and workout reasons. However, it’s needed that everybody learn how to play squash prior to them getting to the expert level. When you want to learn how to play squash, remember the fact that there’s no instantaneous approach for learning this sport. However, it is possible to read many tutorials that may help with understanding the basics of the game and how to play it. If you would like to become proficient in this sport and develop a successful strategy, you should not restrict yourself on how to play squash but in addition, you need to practice it regularly. Other games such as badminton can be played in your lawn, but squash requires a court and all the equipment like squash rackets, ball and gear. Learn the rules of the game: Similar to every other sport, there are several guidelines that govern the game of squash. In order to learn about these rules, you may read through different resources on the world wide web, check your local library for a book or seek advice from a senior player. Find a squash court: Squash essentially requires a court to be played in. Perform research on the skillet in your local area and check if they need some type of membership to permit you to play. Usually local squash courts do not charge a high fee and may even offer you various packages. Arrange for someone to play : Understand that squash requires 2 players and you may ask your friends or someone else if they would be interested to play it with you. Alternatively, it would be wise to find somebody experienced in the sport, because they can direct you regarding how to play squash. Start the rally: Both players alternately take turns to strike the ball against a big wall inside the squash court. 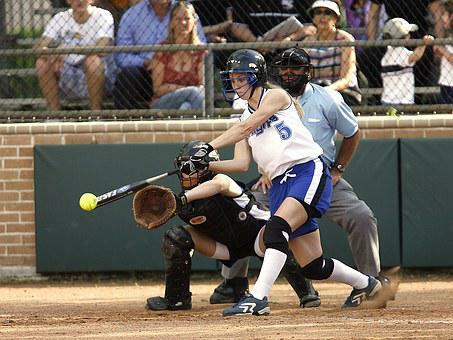 The rally starts with a player serving the ball and proceeds because it bounces back from the wall to another player who strikes it back to the wall. The serve must be inside the two red lines on the wall. If it exceeds past the red line, it is regarded as out of court, while the bottom line is the service line. Be sure to bounce the ball from the quarter court that is opposite to the side where it had been hit from. After the rally starts, you do not have to consider the red lines. According to the rules, the server receives a point once the player wins the rally while in the event the rally is won by the receiver, the participant will only get the service without any points. Previously, this scoring system was widely used in the uk and commonwealth countries. PARS: This is the official scoring system in squash known as the Point a Rally Scoring system or PARS. The game proceeds until one of the participant achieves eleven points and it is vital that the winner has a minimum 2 point lead. Refine your sport: If you would like to know how to play squash on a more serious and professional degree, you may also find out about hiring a coach who can help you develop better strategy for the sport. Have you ever thought about how hard it is to play soccer? People think that it is a very simple sport in which to be a good player all you need to do is run across the field and kick the ball. Soccer is a much more intricate game. It is a sport that requires lots of practice in order to be a good player. There are many players believed to be”born with the talent to play”, like Messi and Cristiano Ronaldo. However, those players, like many others defeated all what they have today by being extremely dedicated to the game and by always training hard. Soccer is a game that involves plenty of skill. Not only footwork or ball control, but also being emotionally prepared and willing to do your very best. • Rules – understanding the rules of the game is the most important thing before enjoying with it. The knowledge of what’s right or wrong is the key to the success in football. • Ball control – first point to be noticed is if you are proficient in controlling the ball. Even though a player has a great skill in addressing the ball, practice is always needed to maintain and enhance them. If a player lacks from these abilities, then definitely practice is much more required with much tougher work. 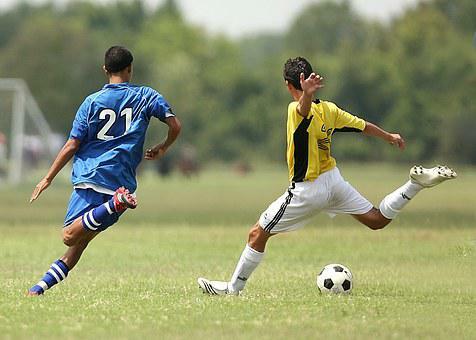 The manipulation of the ball is a hard skill and isn’t fast to learn, it takes a long time to improve soccer skills. Ball control doesn’t mean just using your legs, it involves the whole body. A player must have the ability to head the ball, and use the whole body, except palms, which can only be utilized by the keeper. It is important to be in a good shape for a football player. All of the running that you do during the game is exhaustive. In order to keep a fantastic endurance and to perform their best throughout the whole game players have to be in amazing shape. Nowadays, fitness is getting more important than never to be a soccer player. As an example, a professional player runs about seven miles per hour match. • Formation and Positioning- Formation varies a good deal between coaches and teams. It consists on the way a determined team plays the game. There are tons of different types of formation. Normally, coaches choose those that they believe to be the best fit for their team based on which players they have. Thus, it’s essential to be knowledgeable about each formation, what’s the role in the sport and where to be positioned in the field. Positioning is a must for the formation. Players must know where to be positioned based on the team’s formation. If a participant fails to be in his/her correct position, the whole game can be negatively affected. An increasing number of men and women take up the sport every year, and chalets in Morzine and other popular ski destinations are still in high demand each year. If you are among the many individuals tempted to try the sport, but afraid you won’t be able to pick this up as well as everyone else, or if you have skied before but ended up making a fool of yourself in public and are reluctant to repeat the experience, do not despair. This report provides a few invaluable tips for first-time and beginner skiers – from wider and more general advice to slightly more specialised hints. Having a quick skim through it before heading off to your vacation in one of the lovely chalets in Morzine will ensure that a minimal quantity of people bear witness to you lying on your back at the top of the piste! The first step to enjoying your ski experience is ensuring the sport is a good fit for you. It is no use persevering in something you don’t enjoy, is there? As such, most experts suggest that you borrow or rent, rather than buy, your gear, at least to the first stages of your’career’. Rental places for ski gear abound in the Alps, and prospective skiers should have no problem acquiring skis, pads, boots and warm clothes somewhere close to their resort. Specialists also advise that you ensure that your skis are about 20 to 30cm shorter than your height, as shorter skis are easier to steer, resulting in a lower number of awkward pratfalls. The tips of the skis should not cross whilst you’re skiing – if this occurs, take them back to the rental shop and ask for shorter ones. So far as boots are involved, make sure that they are comfortable, yet snug. Your toes should be able to move freely, but your heel should NOT have the ability to come up, nor if your foot’slip’ around in the boot once it’s done up. Ensure that your boots are done up while skiing (you can loosen them for walking to and from the piste), but do not have them trimmed too tight around the top of your foot cutting off the blood flow. They should, however, be snugger around the calf muscles. Make sure that you take your time getting used to them before strapping on your skis, and then get a sense of your skis before heading to the ski lift. Believe it or not, having massive planks of wood strapped to your feet does affect your balance and motion! Once your gear is all sorted, it’s time to learn the fundamentals. A couple of lessons might take care of that, and most hotels renting chalets in Morzine will find a beginner’s ski course for you, or provide themselves. , changing direction and braking, all needed to combat a skier’s main foe – gravity. It is also important that you work in your posture, as a proper body position may be the difference between a decent run and legs-in-the-air embarrassment! One good trick is to look where you need to go – if you look at the floor whilst moving, you are most likely going to end up on it. Once you become a bit more comfortable with the fundamentals, you may want to try working on your own parallels. 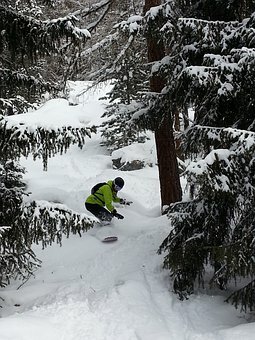 Only then should you venture out into challenges like mogul fields (bumpy pistes) or powder (deeper snow). Overall, nobody leasing chalets in Morzine ought to be afraid to join their relatives or friends in a run down the slopes. As long as you master the basics and are somewhat competent you should be able to avoid embarrassment and injury. Scuba diving is an exciting water sport. To be eligible to learn it, you have to be at least 10-12 years old. This class if taken on a full-time foundation can be completed between 3-5 days. If a person is doing it on a part-time basis, he can complete as per his convenience. People who understand this course while they’re on a holiday, prefer to do it full time. Basic scuba diving certification course is an open water diving course taught by a certification agency. This course trains you to learn the scuba diving techniques which will let you become an independent diver. Once you enroll for diving, you’re given literature and DVDs to understand diving. You can research on your own or there is the option of classroom study. Online courses are also offered. Various institutes supply e-learning material to their students. After the completion of the program, a test is held. Passing the exam prepares you for the next stage. When you understand the concepts of diving completely,you are ready to be trained in confined waters such as a swimming pool or a calm shore. The first stage of underwater training is ideally done in shallow waters where you can stand under water. After training, you will gradually gain the assurance of staying under water. Then you can venture into deeper waters that are restricted. Once you’re comfortable under water, you’re prepared for the next phase. All the groundwork finally culminates to achieving the primary purpose of scuba diving in open waters. Open water diving is diving in big seas or oceans. After a few such sessions, the person is prepared for independent scuba-diving. Some training institutes provide the facility of’referral coaching’. Referral training is when you can finish the theory and the confined water training stages at your house place, and have the flexibility to complete the open water stage at any location of your choice. This sport isn’t very difficult to learn. After becoming a certified diver, you have the choice of exploring the seas and oceans throughout the world. 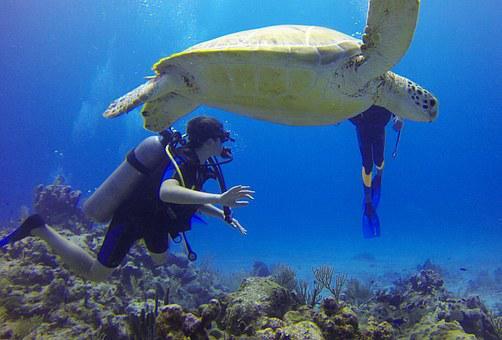 You can enjoy the beautiful coral reefs and varied marine life underwater. 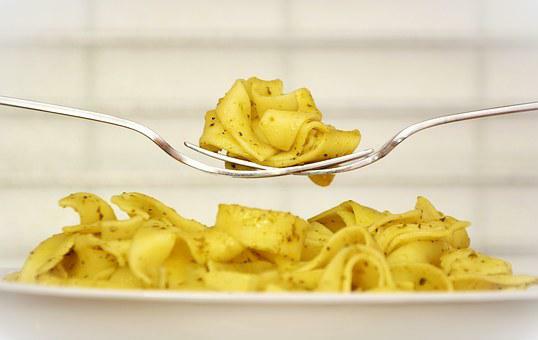 Everybody loves pasta. The preference mostly comes with the sort of sauce you serve with it, but it’s one of the greatest comfort foods there are. Some pasta dishes are complex to make and the cooking time is extended. But if you’re looking for a recipe that’s quick to make but will still have the taste of a complicated dish, these pasta recipes are definitely a must-try! Cook pasta to al dente according to package directions. Place garlic and olive oil in a pan and cook over medium high heat, stirring until garlic is golden. When ready, add the cooked pasta in the pan and toss to coat with oil and garlic. Serve warm and topped with parmesan cheese. Combine garlic, olive oil, sugar, soy sauce and red pepper flakes in a large bowl. Add shrimp to the bowl and toss to coat with mixture. Cover and simmer for at least 1 hour. Cook the fish and olive oil mix in a pan over medium high heat until shrimp is cooked through. Add the pasta to the pan, season with salt and pepper and stir until heated through. Serve garnished with onions and parmesan. These pasta recipes will surely level up your cooking match! Most men and women know now that private financing will be getting tighter and tighter. Everything is going up in price, including art materials. How are we to keep painting, whether we’re selling our job or not? Online Shopping (and indeed offline). If you buy from several online suppliers as I do, you will be on their mailing lists. When discounts are operating, it’s an excellent time to buy things which are normally quite expensive, such as oil paints or quite heavy-weight watercolour paper. If you can stretch your purse, consider bigger tubes of paint (like 200ml) especially oils and particularly if they’re the more expensive colors. The best brands will last for a long time (unless you’re painting enormous yacht-sail canvases). EBay is worth a punt, but note that many sellers are very conscious of what things normally go for and, although their prices may appear lower, they then have to add the postage on. A tube of paint priced #2 or so lower than the norm may not prove to be a great deal of saving by the time you’ve paid #3 postage for this single product. Having said that, if you trawl frequently through the art supplies segments, you can encounter bargains. I once purchased a full set of Daler-Rowney pastel pencils for almost half-price, only because the firm had made adjustments to the pastel formula and had discontinued the present boxes of pencils. Likewise there are branded paints that are actually very good quality, but are not household names to the majority of people… these occasionally come up for sale and are available with no competing bids simply because most individuals aren’t familiar with them. 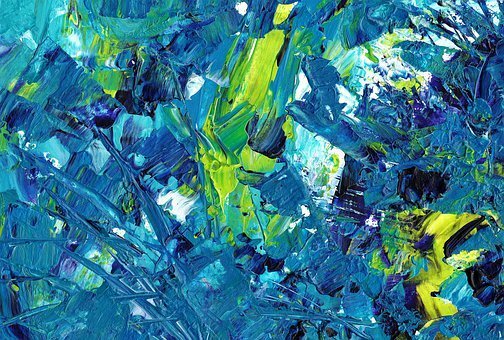 If you market your work, you will likely prefer artist-grade paintbut it is not uncommon to find professional artists choosing certain student-grade colours for their work only because they enjoy the colour or the handling of the paint. Student grade paints in the big names are generally excellent value; especially in acrylics, where they frequently come in large quantity. Piles of canvases come from many places in the East these days. You can buy whole boxes of them at discounted prices from online providers, including eBay. The 1 thing I’d note is that the build quality. Many are OK; but some are poorly assembled. I have had”square” canvases looking anything but square. What happens is that if a single stretcher-bar is a little more than the rest, a perfect square or rectangle is not obtained. The subsequent canvas looks absolutely awful when hung on the wall and it is not fit for purpose… even if you ARE a penny-pinching artist. Dud canvas? Cut off the canvas and use it to make a panel; or just practise on. Better yet, invest in a whole roll of canvas. Expensive outlay but you will have the ability to cut off precisely what you want, when you want, and prepare it as you wish… and it could last you simply years. Another way to save is to use canvas-boards. They last for a long time; I still have canvas-board paintings in the 1970’s and they are absolutely fine. You can purchase boxes of them from some online suppliers and eBay is not a bad place to look either. Available in several thicknesses, the 3mm and 4mm sizes prove popular. Easily cut into any size (and shape) that you want, MDF needs sealing and priming before use. You can use a normal sealer followed by several coats of acrylic gesso, with light sanding in between. Bear in mind the edges also. If you reduce your own, use a dust mask, MDF does produce a good deal of flying particles. However, MDF isn’t quite as stable as people think. There is a problem sometimes with what’s known as substrate-induced discolouration (SID). There are some solutions on the artists’ market that will deal with this. Conservation experts are not convinced about the long-term stability of MDF, but most people aren’t necessarily going to be painting masterpieces that need to last for a few hundred years. Properly prepared, MDF is fine. Some artists find it is too smooth for their liking. It is also possible to prepare a panel and then paste proper canvas around it; this may offer the extra tooth that some prefer. It’s possible to paint oils on watercolour paper as long as you prime the surface first, acrylic gesso is ideal. This forms a barrier, preventing (or certainly delaying) destruction of this newspaper by the oils. How long it lasts for, I really don’t know but I would suggest not producing too many masterpieces this way; just to be on the safe side. Acrylics on watercolour paper do not cause a problem. There are now special papers offered for oil-painting; these look just like watercolour paper but have been specially treated to handle the harmful properties of oil-paint. They aren’t always cheap per sheet… however… a whole sheet for six or seven pounds will cut up into whatever size you need, and you’ll receive several work surfaces for the money. The perfect hardboard is one without oils in it (untempered) but I don’t have any way of telling you from the other. If you use it, sand the surface first, use SID treatment and provide several good coats of primer. Try and use artists’ primers rather than those from a DIY shop. It is possible to make rather good panels by gluing sections of cotton shirts or old bedsheets onto MDF or hardboard. Use pva or an acrylic medium to perform the sticking. Wrap the material over the edges and fix to the trunk, before adding a primer on the surface. Acrylics can be painted onto plastic surfaces, opening up several ideas for the use of acrylic-sheet, perspex and other similar materials. One of the best places to trawl is, again, eBay, start looking for offcuts or someone selling panels. Fantastic quality watercolour paper could be costly. So why not look at the lightweight papers like 90lb? I have read about artists spreading water on each side of the 90lb paper and just letting it stand flat–without any taping– into a very clean smooth board such as formica or marble (an old kitchen work-surface would probably do). The sheet remains in place for a reasonable length of time. Other folks don’t tape it, but simply place bulldog-style clips to affix it to a board, allowing the paper to elongate, cockle and then dry again without fiddly taping. There are options for developing a variety of surfaces that will make you less dependent on”ready-done” papers. Gritty or grainy papers are very common now for pastel work. You can create your own tiled surfaces using several materials along with a pot of pastel-primer paint. There is a trend to using MDF also, painted and ready with a gritty primer. Even plastics and metal will maintain a proprietary pastel-primer. This medium actually has a good tooth and a couple of coats will probably give you all of the grip you require. If you’re keen you can purchase a bag of 4+ fine-grade pumice stone and mix it with white gesso, to paint on your surfaces. I’ve known people use sandpaper from the hardware store; yes it does work, but the newspaper isn’t acid-free. Pastel is however a sterile medium, so if you really want to be experimental then get yourself a sheet or two of fine-grade sandpaper. The main thing is that you have the ability to find ways of keeping your skills alive when money is somewhat tight. If you can paint,… or even just DRAW… during those times, you will have a collection of work ready to sell when the dark clouds draw out and things improve . The majority of us have direct experience of how chronic, or extreme emotional stress can affect the digestive system. Historical practitioners of Chinese Medicine also theorized that the gut (especially the Liver) was the seat of emotions. Modern science explains this phenomena, detecting that up to 90% of our hormones and hormone are actually produced in the gut. Something not a lot of us understand, at least logically, is that the digestive system is actually governed by the Central Nervous System, specifically a sub-branch of the nervous system referred to as the”parasympathetic nervous system”. In essence, the parasympathetic system is our”rest and digest” state. Only if we are relaxed and free of stress does the parasympathetic system and therefore digestion, activate. When the sympathetic system is chronically stimulated by prolonged stress, it can cause gastrointestinal disorders, inflammation and weaken the immune system. One example of how stress can cause common digestive difficulties is by causing the esophagus to spasm and altering stomach acid secretion. This leads to heartburn, acid reflux and can make you feel nauseous. 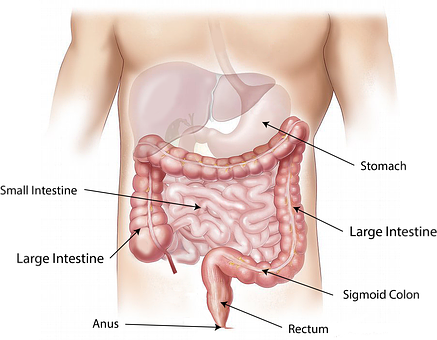 Another example is that the effects stress has on the colon. Intense stress increases the secretion of stress hormones cortisol, prolactin and dopamine, which can cause the colon to become hyperactive or tense, which leads diarrhea or constipation. Reducing total stress is not a straightforward job, it requires a holistic, multi-factorial approach. But, psychological stress is one of the primary, dominant stressors that negatively affect the digestive tract. While getting a handle on the source of psychological stress can take time, there are some simple things you can do to mitigate their consequences. One simple method to de-stress is to engage in fun, moderate exercise. Some of the healthiest forms of exercise include walking, hiking, biking, swimming, dancing, yoga, thai qi, and weight lifting. Relaxation – Individuals with digestive issues are often overly stressed and don’t relax enough. Getting authentic, profound relaxation is harder in today’s world, but can be achieved through meditation, yoga, progressive muscle relaxation, visualization, cognitive therapy, biofeedback, superior music, spending time in nature, camping, love-making, and working on an enjoyable project or hobby. Communication therapy – A major source of psychological stress dwells in the area of communication. In fact, most stress and problems in life have their roots in communicating trouble. If you have ever been in a situation where you didn’t know what to say, or someone was not talking to you, you know the stress related to poor communication. Taking courses or studying books communications can be helpful for enhancing our quality of life, relationships and reducing a great source of stress. But simply having a good friend or loved one you can talk to openly about your stress can be a significant stress reliever. Personally, I have found cognitive therapy to be a major help in relieving chronic stress in my life. There are even studies that have demos rated a 70 percent improvement in stress symptoms after 12 weeks of cognitive therapy. Nutrition – A bad diet can ruin a good digestive system. Poor nutrition can be a source of biological stress, but in addition, eating the correct foods can help curb the effects of anxiety. Generally speaking, it is helpful to eat more salt and protein when stressed. In actuality, soldiers in the army are required to eat a higher protein diet to mitigate the catabolic effects of combat. So, it is best to have a two-sided approached nutritionally, where you avoid junk foods that increase your stress, and consume nutrient-dense, wholesome foods which help replenish a stressed body. If we had no problems at all, we’d be existentially bored. So, the goal isn’t to eliminate all stress and problems form our own lives. Instead, we will need to pick our problems wisely. For instance, beginning a new fulfilling relationship will have its challenges, but in the end, the problems are usually worth it. Same goes for beginning a new job or goal. A good guideline is that any condition in life would ideally be 80% enjoyment with 20% pain, the pain being the best amount of stress that just makes like interesting and helps us grow. We have the attributes of nature; we take care of our everyday life with no change. A excellent way to change our routine is to plan a week-long camping excursion. A good way to enjoy a few days, leave town to enjoy outdoor areas and see what nature provides. But, you need the ideal camping gear to make your journey easier. First, you need a tent to find shelter and safety while you are sleeping. Best to try your tent before leaving, place it behind the house. Make certain no holes and windows closed while it kept. If you get into the preferred camp zone, you wish to install your tent when you get there. You will enjoy the greatest outdoor camping experience and enjoy the nature of the surroundings. Fresh air, surrounded hills and trees or could have a nearby lake. Do you pay for the next outing? It may take time to look at tents and contemporary family supplies. Everything constantly improving and we could improve for the better. You can cut the old tent that your father gave you and update it to a new shop. When you search for camping gear and different family tents, you want to see the Internet. The world wide web isn’t just as much to offer for camping supplies, however you will find the perfect deal waiting. Deciding what components, you want to be a challenge. Here you can decide on a quality of camping tents stocks. Get strong brands and have the very best value for money. Have your laundry clean after every trip to make certain it ready for next camping. A camping trip can be a very busy and enjoyable experience, though, one can make your camp back and forth. Think of the conflicts, walk through the desert with lanterns, barbecue spells, the social life which includes an outdoor trip. Camp Camping generates the memories you and your children will carry on forever. This ensures the tradition continues throughout the next generations. To pick internet tents, be sure to read the testimonials of other parties. You can see what other retailers think of the store and make it easier to buy your exact needs. Make certain to obtain the brand you trust. If you trust the store to protect your family from the elements, important to invest in quality. If you buy a good tent, likely you can use for the next few years if you care for them. Tents a great investment. Tents permit you to plan weekends with your family without worrying expensive hotel reservations. The comforts of a quality tent and a good camping equipment justify investing. They accommodate a house away from home, you and your children in the next few years. There is often personal and psychological readjustment to consider also, usually when we’re feeling at our lowest ebb. Self-esteem and confidence frequently suffer as a result of divorce, maybe through feeling a failure or concern at letting yourself or others down. Counselling and hypnotherapy can help with processing what went wrong, learn from the experience and become more positive and confident, perhaps even better than before! Addressing unhelpful, inherent patterns and behaviours can help you proceed, having learned valuable lessons from the divorce experience. Healing in part is all about managing unwanted, negative patterns in order to avoid repeating them in the future. It’s time to become more independent and self explanatory . Couples often share friends, social interests and decision-making, so moving on alone can feel frightening. Include friends and family, take things at your pace, embrace a realistic outlook, laugh at your mistakes and make the transition easier. Also in relationships there are frequently his and her or mine and yours tasks. You may need time to learn to do things you’ve never done before. Ask for help, let go of the frustration and be gentle with yourself. It takes the time it takes to move on! Aim to keep yourself up-to-date and relevant . Keep in touch with the outside world and keep connected. Watch the news and favorite TV so that you can join in with conversations. Invest in your appearance, even if it is a simple color change or gentle makeover. Plan a pamper evening, supper party, card day or have your mates around for the softball soccer. Let others contribute a dish or jar so it’s an inexpensive evening. Play board games together, all fun, easy ways to stay in touch. Home may feel quite different post-divorce. 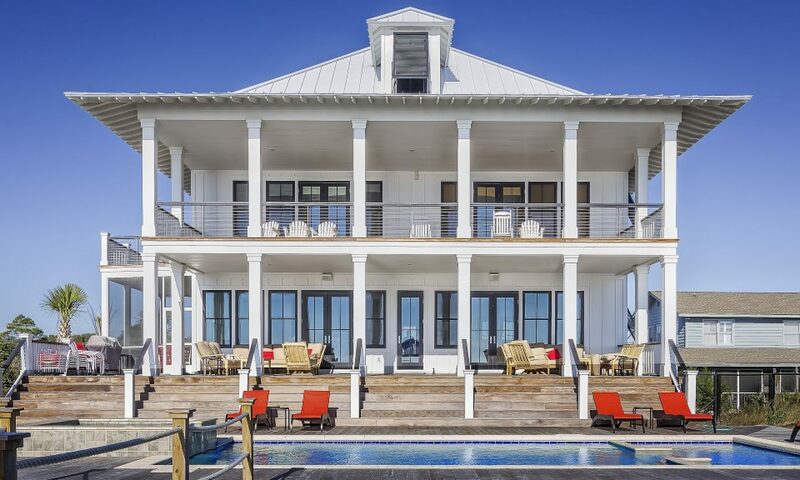 It may be time to relocate and concentrate on establishing a new home for you and yours. Or financial concerns may make selling the marital home prohibitive for the time being. Staying there may be viable in the short-term; it allows time to repay, heal and plan ahead. If so, find ways to reorganise your dwelling. Rugs, prints and little touches can make a real difference. Let the kids help so that they feel involved and invested too. Possessions can be a difficult call. Often getting rid of things can be both symbolic and cathartic. Sometimes letting something go that meant a lot can be the right thing to do. Do you really want to be reminded of your relationship each time you enter a room? Sleeping alone might feel strange initially, but it’s a fact that people do slowly get accustomed to occupying an entire double bed. Change your mindset about your bedroom – it’s your place now. Turn it into a haven and make it the way you want it to be. Put lavender on your pillow, take a relaxing bath and get cozy in your space. Work often becomes more important after divorce. It could be essential to earn money, so you really need to settle down to working in your job or career. Or could now be time for you to begin again and achieve what you’ve always wanted to do, something special for yourself? Re-write your CV, explore career options or re-training. This could be your catalyst for change! As you find your feet love the opportunity for a new beginning and discover positive ways to proceed from your divorce. You shouldn’t binge on wine. To put it differently, if you take a couple of units of wine on a daily basis, it may give some benefits for your cardiac health. Some people say that red wine is more beneficial than other kinds of wines. However, this is a contentious issue. Let’s look at some details and find out if wine is good for you. Whether you are a woman or man, we suggest that you drink 14 units each week, not more than that. It’s a good idea to spread the drinks over a period of 3 days. So, before you remove your wine collection, know that wine, particularly the red wine, offers some anti-oxidants such as resveratrol and quercetin. These antioxidants help you prevent specific diseases. According to scientists, red wines comprise lots of antioxidants and polyphenols. Generally, the darker the liquid, the greater the amount of antioxidants. According to a test, the cabernet sauvignon grapes found to have a great deal of polyphenols. 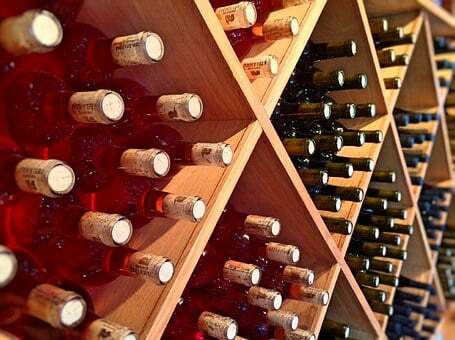 Alcohol Concerns says that 9 million residents of England consume too much wine. Because of this, you are at a higher risk of heat disorders, such as stroke and high blood pressure. This is beside the point whether you’re part of a high-risk group or not. If you’re in your 20s, binging on wine can lead to osteoporosis down the road. Moreover, drinking a lot of wine can result in a negative impact on your brain. As a matter of fact, it can cause lots of health issues, such as liver diseases, diminished libido, nerve damage, muscle damage and menstrual issues. In britain, around 4% of cancer patients get the disorder because of drinking too much alcohol. This suggests that people who have a tradition of drinking 4 or more components of wine are more prone to mouth, oesophagus, and larynx cancer. However, a doctor at the Danish National Health Institute states that people who drink a moderate amount of wine are less likely to get cancer or coronary diseases. Based on the research studies and the opinions of doctors, it’s safe to say that wine does offer some health benefits. However, taking a lot of it on a routine basis is not a good idea. As a matter of fact, consuming an excessive amount of alcohol on a daily basis can get you in serious trouble. In other words, you might have a lot of medical problems, such as cancer. Consequently, you might not want to consume a great deal of wine on a regular basis. 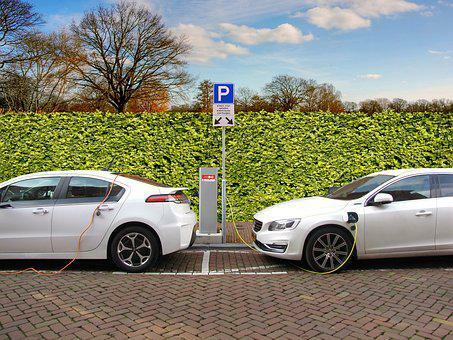 It looks like we have been waiting forever for electric cars to come along, but after more false starts than you will see at the London Olympics this year, it seems like the electric car is finally here to stay. Now, we need to begin with some boring terminology: A true electric car (EV, for Electric Vehicle) has no gasoline engine as backup, so you are reliant on the batteries having enough charge to get you to where you need to go. The Nissan Leaf is the best-known (and best) electric car currently on sale. A normal hybrid uses an electric motor or a gas motor, depending on the conditions. You do not plug it into a wall socket as the batteries charge while you are driving. A typical travel, even a short one, will use both electric and petrol power to drive wheels. A plug-in hybridvehicle,”range-extending” electric car, is technically more of a fancy hybrid compared to a real EV even though it drives more like an EV compared to a regular hybrid. In practice it might be a enormous difference or none at all, depending on how you use the car. A range-extender, or plug hybrid as it’s more commonly known, has a petrol engine that could be used to power the electric motor once the batteries have drained, but the petrol engine doesn’t directly drive the wheels*. The Vauxhall Ampera/Chevrolet Volt twins are the leading example of the kind of car, and they claim an urban fuel consumption of 300mpg (yep, that’s three hundred. A car running in an electric motor is usually very quiet (eerie quiet or a distant hum instead of a clearly perceptible gas engine) and smooth (no vibrations from engine or gearbox). The response from the vehicle away from rest is both immediate and powerful, as electrical motors generate tremendous amounts of torque instantly. They are quiet from the outside to, to such an extent that the EU is considering making audible warnings mandatory in the future as pedestrians simply won’t hear an electric car coming. In terms of exciting handling, electric cars are normally not brilliant, it has to be said. They tend to be somewhat heavy and usually operate tyres & wheels more beneficial for economy than handling. However, as a commuter vehicle around town, they’re zippy and efficient. Plus they create less noise, pollution and heat to the street so a traffic jam of Nissan Leafs from town would be a lot more pleasant for passing pedestrians. The batteries on a standard electric car only give it enough range for a few miles (although a true EV will have a bigger battery pack as it does not need to match a petrol engine & fuel tank too ), so the cars use various means to charge the battery while driving. Usually this entails converting kinetic energy from coasting and braking to electric energy to store in the batteries. In a fully electric car that means you’ve got to stop and charge the batteries, so hopefully you parked close to a power socket somewhere and have several hours to find something else to do. In a hybridvehicle, the petrol engine will begin to offer the power. In a normal hybrid such as a Prius, the automobile effectively becomes an ordinary petrol car, albeit with a fairly underpowered engine pushing a heavy car around so it’s not swift. In a’range extender’ such as the Ampera/Volt, the gas engine offers energy to the electric motor to drive the wheels, which is more efficient in both performance and economy. Depending on how you’re driving, any spare energy in the petrol engine can be used to charge the batteries up again, so the car may switch back to electrical power once charging is complete. Well, how much of the subsequent driving do you do? We’re assuming here that the batteries are fully charged when you put off. These sort of journeys are ideal for electric cars and plug-in hybrids, as the batteries will deal with the whole journey and get some charge as you drive. A normal hybrid will still need to use the gasoline engine, although just how much depends on how you drive it and how much charging it is able to acquire along the way. These are the sorts of excursions that provide EV drivers plenty of stress, since the traffic conditions may indicate you run out of juice before you make it to your charging stage. A plug-in hybrid or regular hybrid will be OK since they can call on the petrol engine. In a regular hybrid, this means the car will be petrol powered for most of the journey. In a plug-in hybrid, it’ll be mainly electric with the gas engine kicking in to top up the batteries if needed late in the journey. Not feasible in a fully-electric car, as you’ll most likely run out of electricity before you arrive. The regular hybrid is essentially a gas car for almost the entire journey and the plug-in hybrid is bulk electric but supplemented by gas in a much more efficient way than a regular hybrid. CONS: Very expensive despite rebate, question marks over battery life and resale value, wall socket charging remains slow, lack of space and quite heavy due to having petrol engine and fuel tank in addition to electric motor and batteries. For many people, an electric vehicle is hard to justify on pure hard-headed economics. Even with a #5,000 rebate from the government, an electric car is expensive. A Nissan Leaf begins at #31,000, so after the government gives you #5K you have spent #26K on a car which would be probably worth about #15K if it had a normal petrol engine. That could conceivably get you a decade’s worth of fuel! Buying a hybrid or electric car as you think you are helping the environment may not be helping that cause as much as you think, if at all. Producing automobile batteries is a dirty and complicated process, and the net result is that there is a significantly higher environmental impact in building an electric or hybrid car than creating a normal petrol or diesel car. So you’re starting behind the ecological eight-ball before you have even driven you fresh green vehicle. Beware of”zero emissions” claims about electric vehicles, because most electricity still comes from fossil fuel sources (like gas or coal) instead of renewable sources, and that means you’re still polluting the atmosphere when you push, albeit less and the effects are much less noticeable to you. The biggest electric vehicle turn-off for auto buyers (other than the high purchase price) is the joint problem of very restricted range and very slow recharging. In a gas or diesel car, you can drive for a few hundred miles, pull into a petrol station and five minutes later you’re ready to drive for another couple hundred miles. In an electric car, you drive for 50-100 miles, then have to stop and charge it for several hours to push another 50-100 miles. If you only take short journeys and can keep the car plugged in whenever it stops (usually at home or work), this may never be an issue. But you can’t expect to jump in the car and drive a couple hundred miles, or get away with needing to plug the car in overnight after a journey. You have to be far more disciplined in terms of planning your driving, and allow for recharging. Away from home this remains a huge problem since there are relatively few power sockets available in public parking places for you to use. A plug-in hybrid like the Vauxhall Ampera/Chevrolet Volt gets round the range anxiety problem, as does a normal hybrid like a Toyota Prius, but you are carting a petrol engine (and fuel) around all the time which you might not need, adding hundreds of kilos of weight and taking up lots of space, so it is a compromise. So as you can see from all of the above, it is not at all simple. You want to carefully consider what sort of driving you’ll be doing and what you need your car to be able to do. *there’s a complicated technical argument about whether the Ampera/Volt’s gasoline engine directly drives the wheels under certain circumstances, but it’s really boring and doesn’t really make any difference to how the car drives. Stuart Masson is founder and owner of The Car Expert, a London-based independent and impartial car buying agency for anyone looking to get a new or used car. Stuart has combined his extensive knowledge of all things car-related with his own experience of selling cars and delivering high levels of customer satisfaction to bring a unique and private car buying agency to London. The auto Expert offers specific and tailored advice for anyone looking for a new or used car in London. For hundreds of years Native Americans and Mountain Men have used tomahawks and axes for hunting, chopping firewood, and protection, they may be used for leisure fun. Using these basic skills you are able to learn how to chuck everything from an ax into a machete, although machete throwing seriously isn’t suggested. Before beginning throwing your hatchet or tomahawk, you’ll require a good target. The best target is cut rounds from a fallen tree stacked like a pyramid. The larger the target, the easier it will be to learn how to throw a hawk. The wood needs to be soft so the blade of the ax or tomahawk can undergo without difficulty and”stick” in the logs, so consequently older is quite often greater. To begin throwing tomahawks you should find the starting place to toss from. In the goal, gauge around 13to 14 ft or about 5- 6 paces and make a line in the dirt. The space is determined by precisely how long the handle is. The very best tomahawk created for throwing is one with a handle from 16 – 20 inches, but it’s easily possible to throw anything whatsoever with the right form. Smaller manages require a shorter time to do a revolution compared to a bigger handle. So begin a bit closer for those that have a sorter handle. This is the reason the distance is determined by the duration of the tomahawk. So do not worry if you miss the very first couple of occasions it’s going to take a wile to adjust to the appropriate range. Tomahawks are incredibly easy to throw; they’re as easy as tossing a rock or stick. To begin, take a step back from the line. 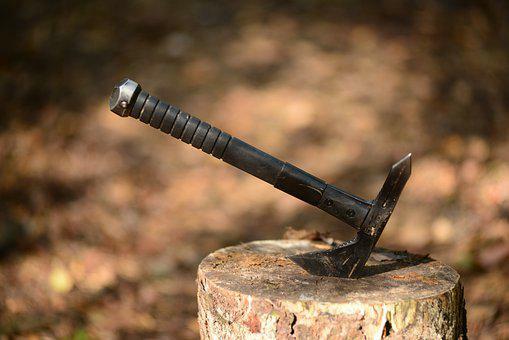 Support the grip at the very end so that the bottom of your hand is flush with the bottom of the tomahawk handle. Then spend the tomahawk or hatchet up to the side of your head, swing forward, like you’re going to pitch a ball, in unison taking a step forward with the other foot so that it lands on the line. While swinging your arm forward, keep your wrist locked strait and then release the handle letting it glide easily from your hands; follow trough with your arm while still keeping your wrist locked. It’s not vital to throw with a great deal of power before you’ve mastered the art. When pitching the tomahawk, if you flick your wrist in any way rather than keep it strait, the hawk will over rotate and not stick in the target. If you realize that you can’t stick the tomahawk or axe after a couple of tries, make certain that you are keeping your wrist locked. With luck and a lot of practice you can place it each and every time like a pro. Remember that a tomahawk, axe, machete,or hatchet is not a toy and should be treated with respect as it’s a deadly weapon. Be secure enjoy yourself. The Game of Croquet was originally launched into the World by John Jaques II in the Great Exhibition of England in 1851. The effect of the introduction of the friendly but competitive sport was instant and it soon became a”must have” lawn recreation not just in England but across Europe and the British Empire, immediately becoming a recognizable British Trait. This was specially true of India. The Jaques Croquet Set was the first croquet set that closely resembles the croquet sets around today. The amazing achievement of this Jaques Croquet Set in the Great Exhibition resulted in John Jaques being awarded the Gold Medal. Following the world-wide uptake of the Sport of Croquet, a very extravagant Jaques Croquet Collection was presented to The Viceroy of India, a very keen advocate of Croquet, also comprised a Croquet Mallet made of solid ivory (not especially pc today but really impressive at the time). Various other Croquet sets were developed and made by Jaques and Sons and may nevertheless be obtained today. Following the Great Exhibition, John Jaques II was considered as the foremost world authority on the Game of Croquet and to further encourage and clarify the match, published (in 1864) the initial version of”Croquet: the Laws and rules of the Game”. These regulations (with some alterations ) even now cover the game of Croquet as it’s played currently. A set of croquet mallets and hoops from Jaques was fast in the proud ownership of many families, clubs and associations. Numerous Croquet Associations have been established all over the world, the headquarters of the governing body has become primarily based in Cheltenham in Gloucestershire, England. The manufacturing technique has changed very little in over 150 years of creating some of the finest Croquet equipment collections. Croquet Mallets, handcrafted from attractive wood, including English Ash and Lignum Vitae, are laid down in”stick” for several years (usually over five) to make sure they’ve matured to a point acceptable for a Jaques Croquet Game Set. There are countless croquet associations all around the world with lots of in England. Membership is on the rise with acceptance increasing with the young age classes. There are two sorts of competition that can be performed – golf croquet and association croquet. In comparison with Association Croquet, Golf Croquet has simpler guidelines and is more interactive (every turn is just a single stroke), nonetheless it usually takes a similar amount of precision and tactical awareness. The competitors follow a path contesting each hoop in turn; as soon as 1 hoop is scored all players move on to tackle another – a simple idea that leads to rich tactical thinking. A stone that’s thought to have been used in the game was discovered that dates back in 1511. Two pieces of art from 1565 which were painted by Pieter Bruegel the Elder show Dutch peasants actively playing the game. In early days there is no unique stone used so there is not a lot of command over the throw. By 1807 the sport had spread to North America. There is specific equipment that is required for curling. First thing you will need is the stone. They weigh one of 38 and 44 pounds and is made from refined granite. There’s a handle on the top. The 2nd item of equipment that is needed is the broom. It is employed to clean out the way for the rock once it’s been launched. The object is to give the stone as sleek a path as you possibly can on which to travel. The thrower could also buy exceptional pants that supports him to travel further before releasing the rock. The game of curling is a simple game but people take it quite seriously. It’s played on ice and a giant rock is sent towards the goal. You want to make certain that your stone is positioned much better than your opponent’s stone. After the stone is released by the thrower another three members of the team, the”sweepers”, frantically sweep the ice in order to handle the direction of the stone. Contact with the rock isn’t authorized. The point is to produce a clean path for the rock to follow. If it knocks the other team’s stone from place, the better. Whoever wins more endings wins the match. In past times few decades curling has received a good deal more value because of the Winter Olympics. 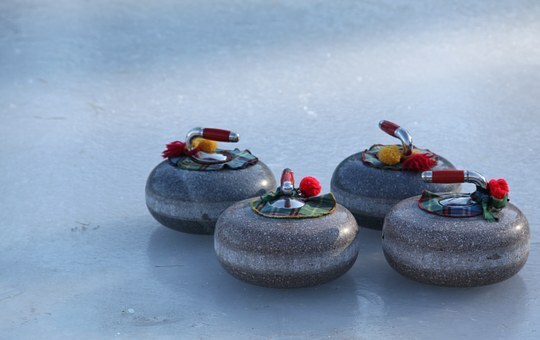 It is one of the few sports where age doesn’t matter, often the earliest athletes in the Winter games are the curlers. The Olympics have caused curiosity about the sport to glimpse and there are now clubs all around the world. Because of the Olympics individuals of all ages have found a love for the game. There are leagues concentrated on everything from kids to senior citizens. Men and women equally love power balance. There are special leagues for the handicapped.